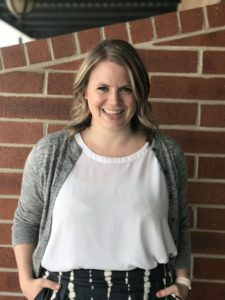 This April, Jordan Finegan will step into her new role as the Executive Director of the Colorado Healing Fund. It’s an honor to join the Colorado Healing Fund (CHF) as it forges a path to support victims and communities following mass-casualty events. Growing up in Colorado, I have seen our community come together time and again to support our neighbors, friends, and families. It’s time that Colorado has an organization dedicated to help and hope in the face of tragedy. With my decade of experience in public policy and community engagement, I’m excited to work side by side with our organization’s stakeholders, public officials, and private companies. Whether at the local, state or federal level, I’ve worked to move forward policies that helped communities thrive. Specifically, I spent seven years in Washington D.C. at the U.S. Department of the Interior focused on conservation and since 2017, I’ve worked on homelessness and housing issues in Denver. I look forward to working with the Board of Trustees, the Advisory Board and the many partners throughout our great State.